When Justin Sun, creator of TRON, acquired BitTorrent INC and assets, it was clear that he had larger plans. Sun paid $140 million U.S. Dollars for BitTorrent Inc reportedly and Project Atlas is the first project that was announced after the acquisition. Project Atlas is an attempt to combine BitTorrent's protocol and the blockchain. BitTorrent Inc plans to integrate functionality in desktop clients first and then later on in mobile clients. Third-party clients are open to integrate the technology into their clients as well. There is no requirement to do so, however, as backwards compatibility is supported according to the release announcement. The definition of Project Atlas on the BitTorrent Inc website does not really reveal a lot about it. 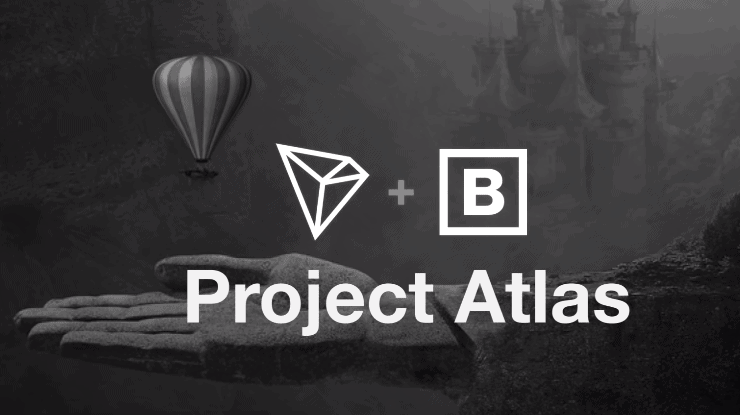 Project Atlas will connect the BitTorrent peer-to-peer network and the TRON blockchain network via a set of bittorrent protocol extensions, a custom token, and an in-client token economy to address existing limitations and open a new borderless economy for exchanging value for computer resources on a global scale. BitTorrent peers get rewarded with tokens when they seed torrents using their bandwidth and resources. Tokens have monetary value, and while BitTorrent Inc is tight lipped at this point in time, it is likely that users may turn tokens into "real" currency or spend it to unlock benefits such as faster downloads. Whether TRON or BitTorrent plan to let users purchase tokens is not clear as well at this point in time. The system may remind some users of how some, mostly private, sites handle the distribution of files. Users get rewarded with credits for seeding and may use the credits to improve their ratio or buy benefits such as freeleech periods or appearance related items. The main difference between Project Atlas and these site-specific systems is that the former appears to be global and that it is based on the established TRON blockchain network. BitTorrent Inc published a video that provides additional details on Project Atlas. The Project Atlas team plans to publish a roadmap and additional information about the future of the project and its functionality soon. Project Atlas could provide users with incentive to seed torrents for longer periods of time and provide more bandwidth or storage at the same time to increase token earnings further. It remains to be seen how successful the new system will be. Much of it depends on third-party adoption even though BitTorrent Inc is the owner of some of widely used BitTorrent clients. Project Atlas is an attempt to combine BitTorrent's protocol and the blockchain. BitTorrent Inc plans to integrate functionality in desktop clients first and then later on in mobile clients. Seems like an attempt to take control away from users and give it to servers. “You can’t download this torrent; you don’t have enough credits because you haven’t seeded other torrents long enough.” A complete abandonment of the spirit of BitTorrent. I agree, it’s pretty hard to reconcile this with what BT is supposed to be. Fortunately, we still have the bittorrent protocol, so it’s doesn’t matter what Bittorrent, Inc. does. I don’t see TPB ever forcing something like this ;) The new uTorrent owner is delusional if they think this will be accepted by anyone. Yeah pirates don’t want to pay, that’s why they torrent. If the content is legit and of high quality they might have something here but I imagine the media companies will try to destroy any competition. And btw, we already have LBRY but it seems like the devs aren’t going anywhere. It would be awesome if a content delivery system could take out youtube and its corporate/political censorship while at the same time getting content makers paid. Lots of people (including myself) use bittorrent for things that have nothing whatsoever to do with piracy. I use bittorrent regularly in order to exchange very large datasets and (legal) software to other development teams as part of my job. It has some rather large advantages over other methods when you want to move a lot of data to multiple destinations. I see no reason why you must use bittorrent to do that. In my company we usually have one server to exchange data, they’re much secure because you need crerenditials to go into the system. With torrent, ordinary person will be able to download your data too. It’s made for sharing files not exchanging files. Then research bittorrent. You will see it as both flexible and powerful allowing for legitimate business solutions. For instance, allot of open source sw is distributed via bittorrent; saving originators of open source sw a humoungous network burden. It is also exponentially faster compared to normal website d/l; reaching 2 to 10x typical website d/l speeds. In ref to datasets, allot of datasets are in the public domain. Look into AI and the demand for training sw by using publicly avail, massive datasets. In other words, not everything is private. But, in the cases where there is a need for private software/data distro, bittorrent also has solid business solutions there too. Nope, open source softwares are distributed via CDN. They’re usually hosted by local education institutions. Bittorent protocol is blocked by some ISP, not a proper solution for distributing files. I get my distro images via Bittorrent, so at least some distros absolutely do use it. Any ISP that blocks Bittorrent (or any other communications protocol) is unfit for use. But, if I had no choice but to use an ISP that engaged in such awful behavior, I’d bypass their block with a VPN. We don’t have to. It’s simply the best solution to this problem. What’s the difference? That’s a serious question. So you can’t explain the reason? If someone get the torrent hash/file they will be able to get the files undetected without knowing where the leak came from. If a credential got exposed you’ll know where the leak came from. Everytime some files change you need to update the torrent. I already did. Bittorrent provides the fastest, most reliable, and least taxing method of distributing large amounts of data amongst multiple destinations. There are method of requiring credentials. However, the way we use bittorrent, you have to be connected to our VPN to use the system, so credentials are required and we know who is doing what. There is no open exposure to the internet generally. Yes. This is no different than any other method of file exchange. I get that you have some sort of weird hatred for bittorrent, but your insinuation that there is no legitimate business use for it is disproved by the large number of business who use it every day. I don’t really see anything wrong with this, especially since it’s just a choice to use the “Project Atlas client” or whatever they will call it. Basically, I don’t think these tokens will be used for unlocking features, or getting faster download speeds, or whatever. My guess, is that they are banking on their tokens being a type of cryptocurrency that actually has a monetary value, thus the reason for this project existing is to encourage people to actually seed their torrents in order to make money/be rewarded. Either way, we will have to see later when more details are announced. blockchain, coins, token & co. – a further contribution to the fact that the internet will soon be (really) all about money. in the craziest way possible: for example for everyone out there .. for example really every idiot – dtuber and really every dtube contribution, as stupid as it may be (greetings to sempervideo, who also promoted dtube .. are you crazy?). this of course also applies to these damn tokens, brave – browser and this miscarriage mentioned here in the article. the web should and must become free of profit-oriented financial interests. anything that stirs up greed belongs in the trash. we already have enough of it. now offering “greed” to every user in a simple way, that’s what happens here. in the future, this insanity will lead to a severely _restricted_, capitalism-influenced network. i’d rather switch off the computer. everyone should make their content available to all users free of charge. if you can’t finance this yourself, you have to work more in real life or rely on donations or end your internet project. there’s too many anyway. pure idalism will otherwise die completely if the future of the web takes on profit-oriented dimensions that are hardly imaginable today. i’m pissed off. >> everyone should make their content available to all users free of charge. I agree, but this would be like communism and everyone from companies to creators, the MCP and users hate that idea, because they see money as necessary as food or even love it more than that. what idiot is going to leave his pirating trail marked on a blockchain? And then DIsney will knock down their doors for using the TRON name without a licence.